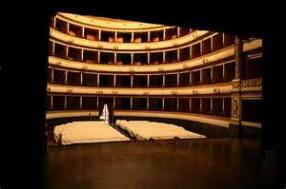 A few steps from the Orvieto Cathedral, the Teatro Mancinelli, reopened to the public only in 1993 after a long restoration, is one of the finest examples ofneoclassical architecture nineteenth-century theaters. Inside you can admire the"Expulsion of the Goths from Orvieto" depicted on the curtain, the work of PeterAngelini and Caesar Fracassini. Visit the theater: to discover the history of Mancinelli.